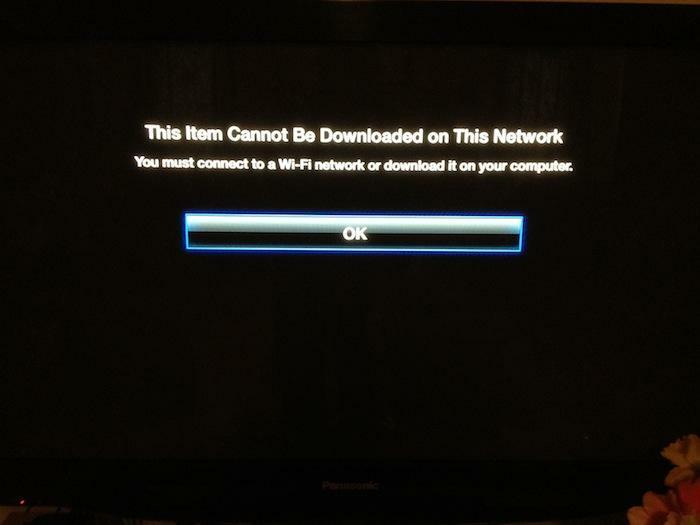 TheNextWeb's Matthew Panzarino contacted Apple Support to discuss a "this item cannot be downloaded on this network" error message that he and other users had been receiving on the Apple TV. the message directs users to do either "connect to a Wi-Fi network or download it" on their computers. An Apple Support Community thread on the issue has generated several dozen replies and over a thousand views.